Nuraina Samad has a posting on these white phallic structures, too. Click here. 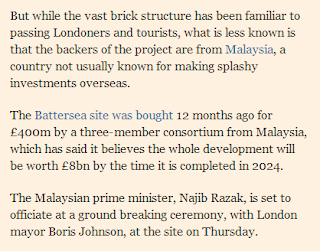 As Malaysians, we should be proud with the wave Sime Darby, SP Setia and EPF are creating in the UK. 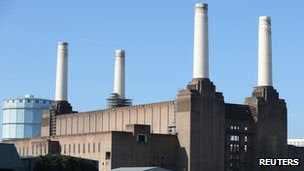 They are going to tear things down and build a multi-billion pound sterling redevelopment there while "saving" the landmark white phallic symbols in the name of preservation. 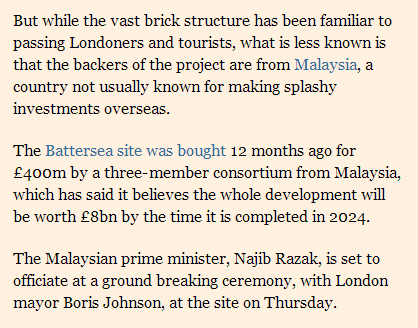 Now that's something whoever is trying to re-develop the Tugu Negara environs into their so-called Malaysia Truly Asia Centre (read the latest on that h e r e) should at least attempt to do. Help us preserve our heritage. It shouldn't be all about making profits. Di negeri omputih tahu pulak nak jaga alam sekitar. Di negeri sendiri mcm kimak nak dijadikan malaysia mcm kandang babi. 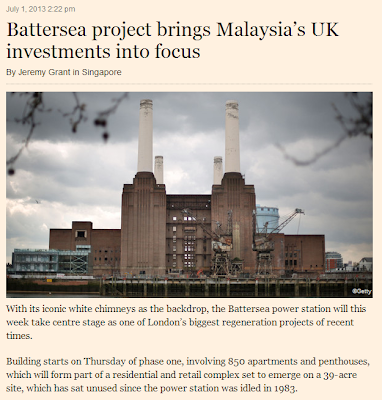 Budak2 khazanah ni mslaysian or penjajah british? These neo liberal seemed to work for their colonial masters.